MAKING EUROPE WORLD NUMBER ONE IN RENEWABLE ENERGIES? 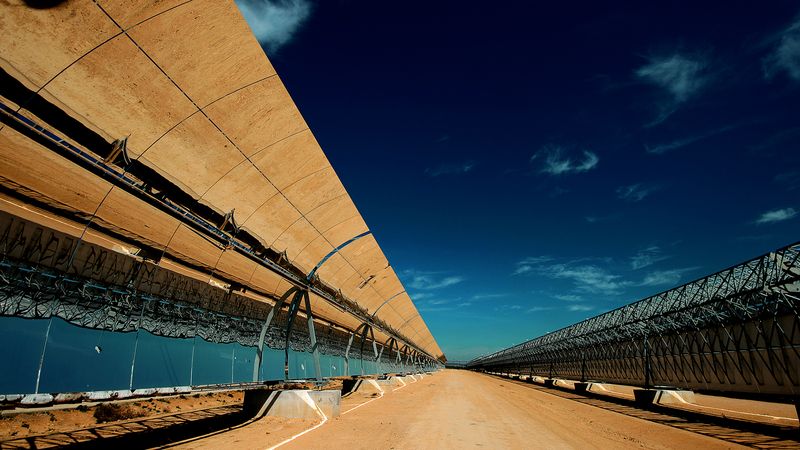 Solar Thermal Electricity (STE), also known as Concentrating Solar Power (CSP), is a technology that produces heat by concentrating solar irradiation. This heat can be used to generate electricity with a steam turbine or as process heat for industrial applications. By storing the thermal energy and/or using hybridization, STE is able to firmly deliver electricity on demand without additional cost – even after sunset. STE is grid-friendly not only due to thermal energy storage, but also due to the use of conventional turbine technology to generate electricity. No fuels required! Just the solar power from the SUN!